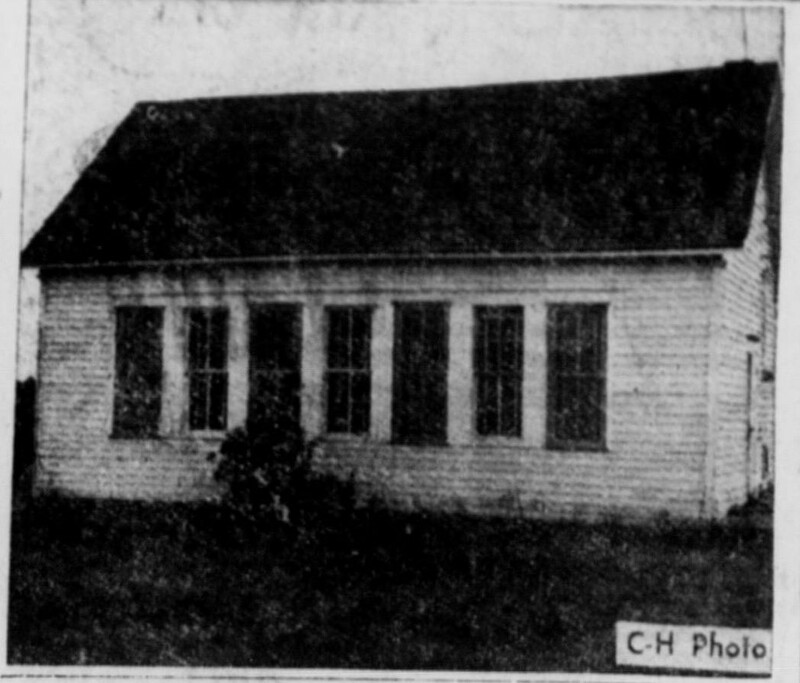 Macon Chronicle-Herald: Bohannon School has 18 pupils enrolled for the 1955-56 school year. 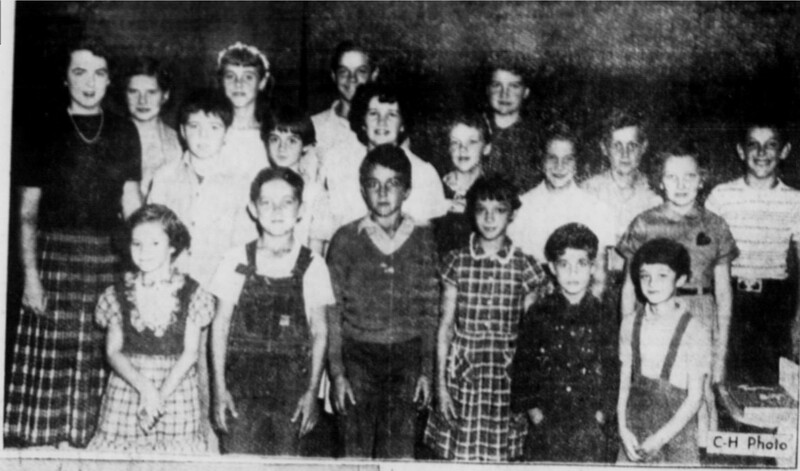 They are, left to right: Front row, Janet Sue Walker, Windell Rufener, Harlan Dunaway, Marlene Wray, Lindal Rufener, Carole Wray; second row, Mrs. Marilyn Angelo, teacher, Donnie Dunaway, Elaine Wray, Ina Taylor, Bonita Sandner, June Mooneyham, Deanna Hoffman; third row, Lillie Jean Phillips, Linda Mooneyham, Claire Wray, Judith Taylor, Bobby Rufener and Bill Hoffman. Mrs. Marilyn Luise Poore Angelo (1935-1997) was a local woman, born in Macon County, and a graduate of Macon High School in 1953. She was the homecoming queen in 1953, and later married the homecoming King, Don Angelo. 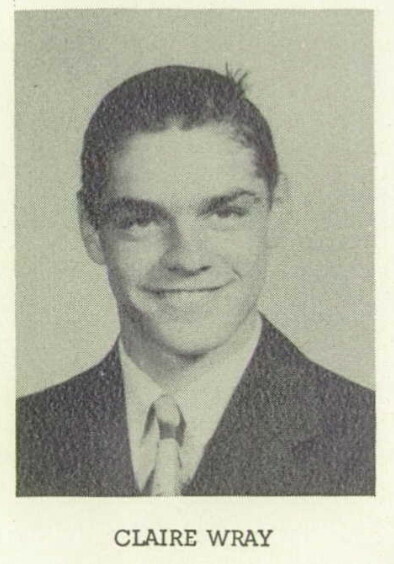 He entered the Navy and went to Japan. She attended a year of college in Kirksville before teaching one year at Bohannon School. The next year she joined her husband in Japan. She passed away in Pensacola, Florida in 1997. 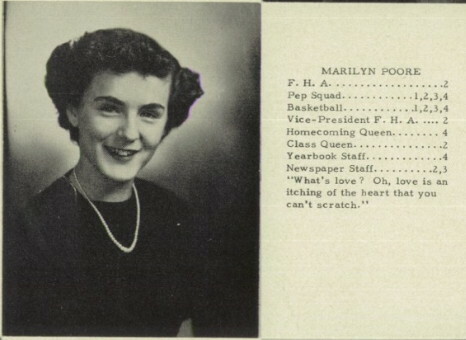 Marilyn Poore in 1953, Macon High School Senior. 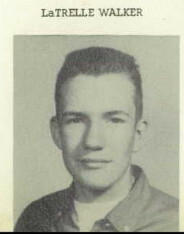 Tom Mooneyham lived southwest of Bohannon School, and the Mooneham children had probably been attending a different school prior to this year. 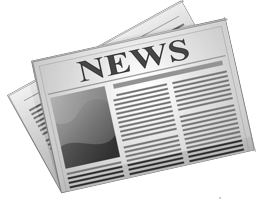 Their presence at Bohannon might indicate another consolidation closing, possibly of the Woodville School. The Trachta family had left the area by this time. 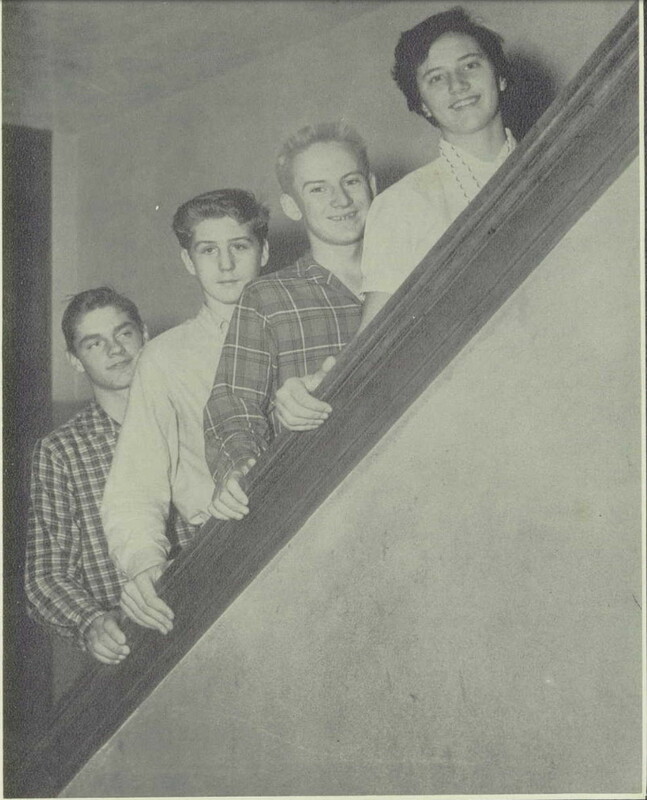 We invite anyone with memories of the Bohannon School, or any area rural school, to share their memories with us. We'd love to have some more, and better, pictures of the area and the students. Claire Wray, on left, was the president of his freshman class at Macon High School.